The original article, Avoiding the Global Warming Impact of Insulation, was published in Green Building Advisor (which has really great information, fyi), and further discussed on Tree Hugger by Lloyd Alter (http://www.treehugger.com/files/2010/06/why-the-choice-of-insulation-matters.php) where the information and comments (especially that of Frank O’Brien-Bernini, Chief Sustainability Officer, of Owens Corning) provided more food for thought. I encourage you to read *all* the comments in these articles. "...two of our common insulation materials are made with hydrofluorocarbon (HFC) blowing agents that are very potent greenhouse gases. " First, know that our SIPs (structural insulated panels) contain no HFCs. Using SIP we maintain the integrity of the architect's passive solar vision, while providing an energy efficient prefab house kit shell at an affordable cost. By choosing a venue that is closest to each of our prefab house kit clients within the manufacturer network, I try to reduce our global warming potential through travel distance. Also know that our product, passive solar prefab house kits, doesn't mean we can't switch to better materials when they become available in the marketplace. The majority of my job involves research, and honeychiles, I never rest on laurels but reconsider our process daily. The SIP manufacturers are vendors, and if a better product or method becomes affordably available, I will consider that for future prefab house kits. 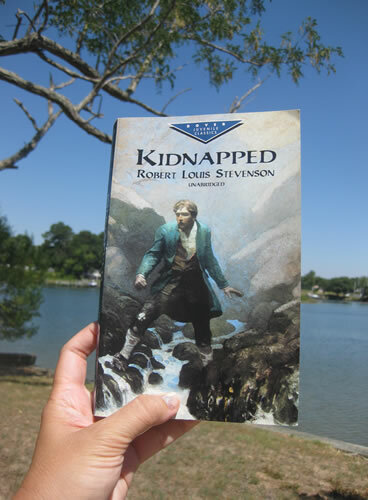 In the meantime, I am brushing up on my bandit skillz by reading "Kidnapped" by Robert Lewis Stevenson. I am convinced Johnny Depp needs to play the character Alan... Hollywood, make it happen.